Affiliate marketing is promoting the products of others through a network and earns a commission if the customers buy the product. Affiliate marketing is a commission based system. The owner of a website or the company affiliated with a third party that brings leads and sales to the site or a product and in return pays commission to the third party. To get started with affiliate marketing, one has to find a product. That promote it to their audience and if some from the audience purchase it. Then profit commission earned from the owner of the product. Let us now see how affiliate marketing works. 84% of publishers and 81% of business brands are leveraging through Affiliate Marketing. Websites though are receiving traffic from different sources such as Facebook Ads, organic traffic, etc. There may be a time when the causes exhaust, and there is no way to get more traffic. To understand more traffic companies depend on affiliates. Website or blog that has good traffic is selected, and the traffic is made to divert to the site and the revenue shared. When the traffic from the third party ends up in a sale, the commission sent to the third party. Affiliation marketing is one of the winning ways to earn money online. Becoming an affiliate can give a regular income. There are different ways to become an affiliate. In product company websites and SaaS company sites, the homepage has the affiliate link. Clicking on the link will provide all the information about the products that are to promote. There are affiliate networks online that allow registration of both merchants and affiliates. Joining these affiliate networks makes it easy to manage the affiliate program. Some of the famous names of affiliate networks are Commission Junction, Amazon Associates, Impact Radius, ClickBank, and ShareASale. Another network also can be found by a search on Google. Applications can be sent to companies to become affiliates. Some companies do not reveal the affiliate programs on their websites for various reasons. Send an email to affiliate program inquiry to the company to find out if they are any opportunities. Having a top-rated and popular blog will make the brands to reach out and ask to promote the products. It helps the blogger to choose the right products and right brands to support as affiliates. Mobile is going to play a vital role in dragging the Affiliate Marketing traffic. To become a successful affiliate marketer, one has to choose the network to work with carefully. The type of products that are to market based on the system selected. Some networks sell digital products, and some retail website subscriptions and services also. Select the product that is to be promoted only after careful study. Choose the products that are relevant to the niche. Before developing a product, buy the product for yourself and use it. Using the product will help to explain it better to the customers and readers. Do not exaggerate about your product but be honest with the readers. Tell the good and bad about the product. This way the audience will believe that they can trust you. The more people trust, the more will be the visits, and this can effect eh buying decisions of the visitors also. To direct visitors to your site, review the product in a video and let make sure that it goes viral. The video must provide every information about the product. Marketing videos are the best way to generate traffic for the website. Fashion, Travel, Beauty& Health and Sports are in the stream of using 50% of Affiliate Marketing programs. Different things affect the affiliate marketing. The first one is the traffic or the visitors to the website. The more the visitors, the more conversions to paying customers for the product you are promoting. Create the best content to get maximum visitors and earn good revenue from affiliate marketing. Click rates also affect the affiliate marketing. Place the links carefully at places where the likelihood of visitors clicking the links increases. The conversion rates change the revenue from affiliate programs. Make sure that the products you are promoting are of high quality. How the Affiliate Marketing tools will help to reach the target? Some tools help the affiliate markets to reach their goals and become successful. To become a successful affiliate marketer one has to have a regular web hosting service. Know the products and the niche that you are promoting. Should have a good content management system. Affiliate Marketing is required to fill up the empty website with content related to the product or service you are promoting. WordPress is one of the most popular content management systems. Search engine optimization is another tool that helps in bringing visitors to the site. Growing as an affiliate marketer requires following some tips such as knowing your niche and knowing the niche and products you are marketing. To get traffic to the site and there is a need for continuous marketing. Presence in social media is also beneficial to get more visitors. Choose the perfect affiliate program to work. Researching about the affiliate programs helps in choosing the best one. Know your audience and only then select the product to promote. If you are developing products that your audience have no interest in, then your affiliate marketing efforts can end in failures. Be patient because no miracles are going to happen to get the desired results. Start the affiliation marketing and keep going. Patience is all that you need. An Affiliate Marketer has to handle multiple tasks every day. To run his business, he might need to be a good accountant, content marketer, SEO professional, product manager, social media marketer and conversion rate optimizer. $5 Billion has been spent by the US Affiliate Marketing. The challenge is taking the pressure of multi-tasking, and the need to be both productive and creative makes the life of an affiliate marketer. Some essential affiliated tools to handle multiple tasks. Long Tail Pro uses to discover thousands of profitable, targeted keywords and calculate keyword competitiveness. It has the main useful features to find Keyword difficulty, Rank value, pulls awards data. It is the vast collection of training utilities and software and designed for Amazon sellers and Amazon affiliates. Amasuite gives you everything you need to start making money through Amazon. There are essential affiliate plugins for WordPress. 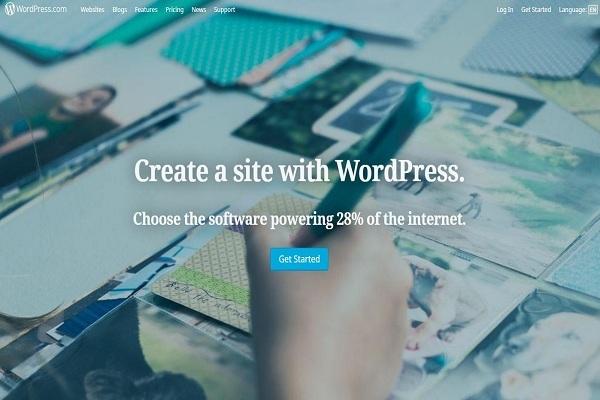 These are free and useful WordPress affiliate plugins. ThirstyAffiliates is well-maintained and offers more features than any other affiliate link Cloaker plugin for WordPress. OptinMonster is the best lead generation tool on the market. It has features like A/B testing of content, design, and headlines make sure you have continuous growth over your initial lead form setup. 1,000,000+ Affiliate Marketing accounts have been registered especially for the network of ‘share a sale’. SEMRush allows you to look how your competitors are doing, what keywords they are using, and how well those keywords are performing for them. If you would like to add specific functionality to your website then use Yoast SEO Plugin, that will help you to improve your position in the organic search results. Google Analytics features such as custom dimensions, file download tracking, outbound link tracking, events tracking, performance tracking, and more. 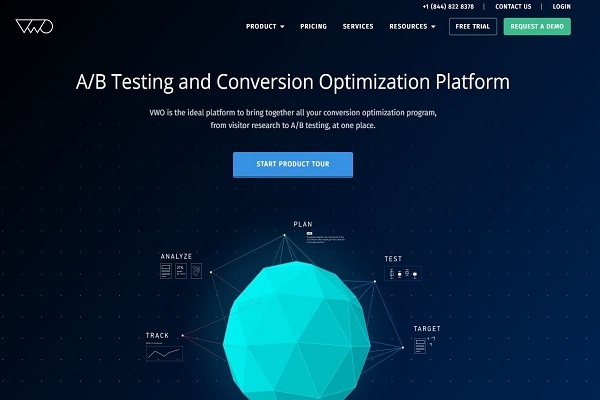 You can run split tests, follow links, monitor conversions, goals and get the real insights into how your users interact with your site. WP Cloaker gives you the ability to shorten your affiliate unnecessary links and keep track of how many clicks on each link. People trust your content only if it is written professionally if you are selling an affiliate product. Instant grammar check is used to correct all grammar errors end enhance your writing. 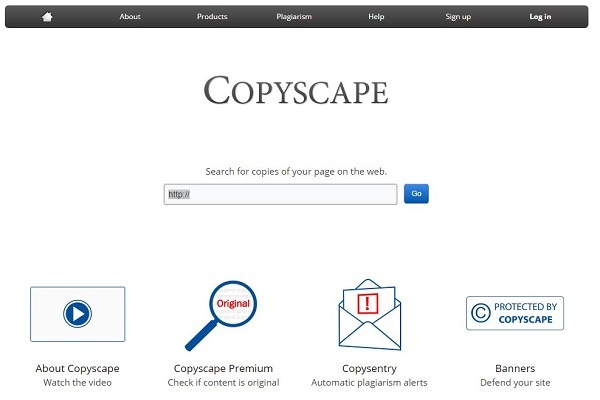 Copyscape is a plagiarism checker. If you are working with content writers on your affiliate marketing project, it plays the primary role to check it for duplication before adding it to your site. Canva is a tool for affiliate marketers and bloggers to make high-quality graphics with minimal effort. Using Canva, you can create graphics quickly for various digital channels like FaceBook, blog, infographics, YouTube, Email, Twitter and the like. 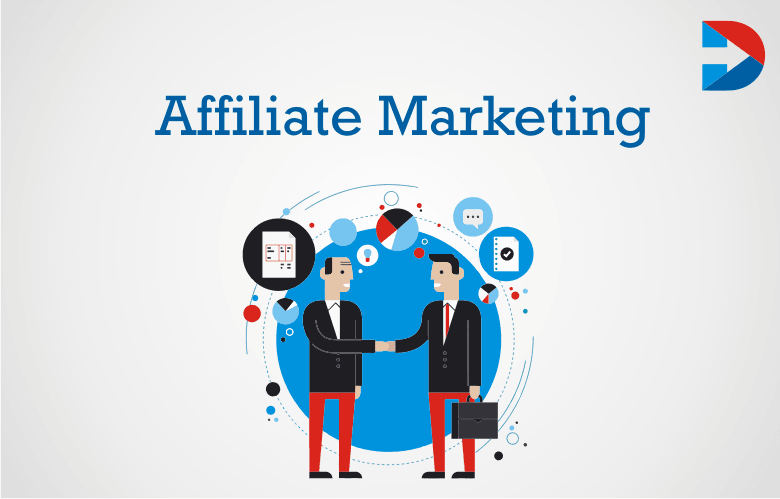 About 20% of publishers are gaining revenue through Affiliate Marketing. Google Keyword Planner is Google Adwords tool which gives the keyword volume of the keywords. Even if you are not running an AdWords campaign, it is an excellent tool for every affiliate marketer. You can use the keyword multiplier to build a quick list of keywords. Great headlines get clicked and shared much often than the ordinary ones. It reads the sentiment, commonality and emotional impact your headline might have on the reader and assigns a score. It also gives tips to improve the effects of your headline by using more power words or use lesser words and characters. Buzzsumo is a complete content marketing research and planning tool on the web. It shows the most popular posts by the number of shares and links it has acquired over a period of years. Buzzsumo gives you an idea on which topics you must focus on to get proper exposure among your potential audience. By previous actions performed, Drip is an email marketing workflow tool which sends emails to your list. It can be automated setup emails which are highly relevant. Once you create a visual workflow Drip automates the rest. You can integrate Drip with affiliate programs like Clickbank for more profound insights. Instapaper is one of the fastest ways to build a high-quality landing page. Using Instapage, you can create landing page based on your need. Instapaper comes with the critical affiliate marketing tools like WordPress, OptinMonster, Google Analytics, Zapier, and Convert it. OptimizePress is a WordPress plugin which creates any web page. OptimizePress fills this need by creating pages landing pages, sales pages, webinar pages, training pages and product launch funnels within few clicks. Ahrefs is favorite SEO tool for both link builders and affiliate marketers. There are some few more features like competitive analysis, content marketing, Backlink Research and Keyword Research. Affiliate Marketing generates about 16% of all orders. Google Search Console is Google’s official tool/dashboard which communicates the health and performance of the website. It has essential features like Sitemap, Crawl Errors, Mobile Usability and Highlight Data. It has the team spread out remotely of affiliate marketers. Slack is a project management tool with a focus on removing these communication troubles. Slack creates an alignment between people in your team with a shared workspace which organized. A buffer is a simple tool used to post, manage and track the performance of social media channels like Twitter, FaceBook, Linkedin, and Instagram. You can adequately manage multiple social accounts at one place. You can track clicks, likes, reach, comments, mentions and retweets across all channels. Using Visual Website Optimizer, you can test various aspects of your website and improve your click-through and revenue without even increasing your traffic. You can check any point of your page including, banners, headlines, links, layout, buttons, colors, and styling. Majestic helps to analyze your competitors and more with the link building. It is useful for competitive analysis because for sure you would like to know what top affiliates are promoting and where. It is a tool which crawls website’s links, images, CSS and apps to define onsite SEO. And it is also known as SEO auditing tool. Followerwonk helps you explore and grow your social graph. I can easily share your reports to the world. It’s essential for building your Twitter following. Do Share is especially valuable because it lets you schedule posts to Google+ pages and Google+ profiles. Google’s URL Builder is a complemented tool for Google Analytics. It makes tracking your ads and social media posts far, far more comfortable.Once you get the hang of it, it enables you to do simple split-testing with ad creative. 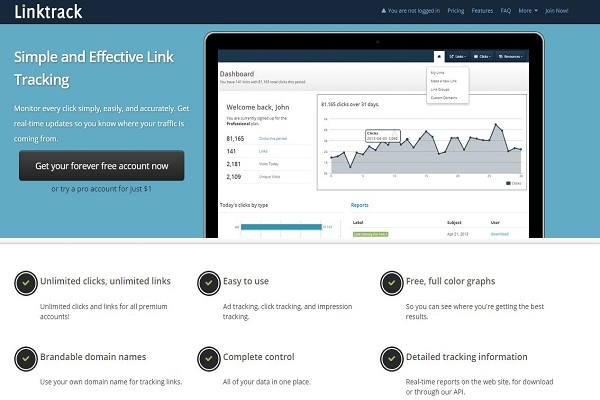 Linktrack monitors every click simply, quickly and accurately. Also get real-time updates, so you know where your traffic is coming. You also need an easy way to see which links are driving the most revenue. ClickMeter is another free link tracking tool. Made for affiliates. Whether you use this or Linktrack may end up as a matter of preference. Amazon is the global source to offer 1% to 10% of the commission to the influencers through Affiliate Marketing. Unsplash is an excellent resource, but there’s a trick to finding images that haven’t been over-used. Find the magnifying glass icon to run a search query. It provides you a free batch of photos when you sign up for their list. Then every month they’ll send another bunch of free images. Gratisography is a used for high-resolution pictures for personal or commercial projects. Gratisography features some high-quality images that can use for any project, and the photos are free from copyright restrictions. It is an animated gif are refreshing, easy to make and attract a lot of attention. This free tool is the best of its kind regarding features, ease of use. These are the essential useful affiliate tools mostly used for marketing people. Finally, the results of any affiliate marketing campaign are always directly dependent on the amount of time, money and effort the business invests in the development of their affiliate program.